When was your last eye exam? If you can't remember, it's safe to say that you should schedule an appointment. Good vision is a precious gift. It's also a daily necessity. Routine eye exams are offered at RVC by our skilled optometrists, Dr. Dellinger and Dr. Abernathy, who have nearly 50 years of combined experience in the field. Added Bonus: Dr. Abernathy is sure to share his humor and life advice with all patients! Have you suffered from a recent eye trauma? We take this seriously because, again, good vision is a necessity, so we will have you covered. Call or stop by and we will fit you in to see an optometrist as quickly as possible. RVC offers a large selection of both prescription and nonprescription eyewear. We carry designer frames such as Ray-Ban, Fendi, Michael Kors, Oakley, Polo Ralph Lauren, Kate Spade, and more! Our team of opticians is happy to help you pick out the perfect set of frames! Schedule an appointment with one of our opticians to view our selection. Need glasses but don't like the look or feel of them? Maybe it's time to try contact lenses. RVC offers a large selection of contact lenses including Acuvue, Air Optix, Ultra, Biofinity Energys, and more! Schedule an eye exam with one of our optometrists to find the perfect prescription and contact lenses for you. Ask about our colored contact lenses, too! 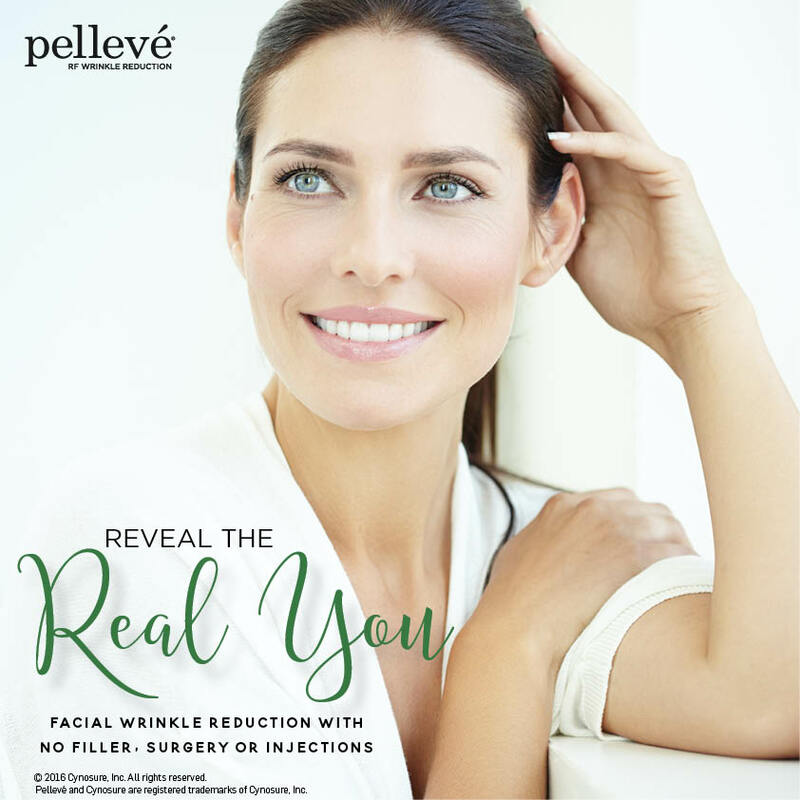 RVC offers Pellevé treatments, which is a revolutionary innovation for smoother, tighter skin… FDA approved to treat facial wrinkles without surgery. With Pellevé, you can look and feel refreshed, naturally.